Recently, I wrote an article on this point regarding the over-emphasis of some Protestant sects with nationalism. For example, too many Lutherans have identified their religion with either the Scandinavian countries or Germany. Likewise, there is a deep connection with Anglicanism and Great Britain, which still causes an anti-Catholic prejudice both here in America and in England. In other words, the WASP ideal, the White-Anglo-Catholic-Protestant believes still that a Catholic cannot be truly English or truly American. This is true, as the Catholic Church is universal and not confined to a nation or national boundaries. One could not be a follower of Oliver Cromwell and a Catholic, obviously. Or, one could not follow the current monarchy in England without great reservations, as she is supposedly the Defender of the Faith, but not the Catholic Faith. Having said that, she broke her coronation oath by signing the ssm bill. Such is the lack of faith in the royal family. When Catholics fled to Brussels, Paris, Louvain, Ghent and other Catholic cities during the Tudor Revolt, they were following the universal Church abroad and breaking rank with the highly politicized and nationalized Anglican identity. That such great families as the Mores, Garnets, Clitherows, Vauxs, Herberts and others fled to the continent and that the daughters and granddaughters became nuns forms a pattern of connected to the universal Church. The danger of too many American and English Catholics today is that they do not firstly identify as Catholics, but either as Americans or English. This lack of Catholic identity has already weakened the Church in these countries to a point of no-return in some physical localities. Lisebeth Corens writes at length about both anti-Catholicism and the convents on the continent. Her study is a warning for us today. One may read her ideas in "Catholic Nuns and English Identities. English Protestant Travellers on the English Convents in the Low Countries, 1660-1730." She reiterates the idea which many historians have noted of the danger of national religions and the insistence that patriotism demands all people worshiping in the same manner. But, to extrapolate, too many Catholics have sold out to the American dream, seeing themselves as Americans first and Catholics second. This idea shows a corruption of one's conscience. Nuns from the great families of the Vauxs and Herberts as well as those already mentioned, had to choose between maintaining a high status in English society and keeping the Faith in a foreign land. Henry Vaux, who seemed to have dedicated his life to celibacy and contemplation, had two sisters. One, Elizabeth, became a nun on the continent in a Franciscan convent in Rouen. Here is another example of a nun having to go to another country in order to live out her vows. Again, this family was connected by friendship to the Garnets, and by marriage to the Throckmortons as well as the Ropers, who were connected to the Mores by marriage. Again, one sees the pattern of relationships among the recusant families, which did not necessarily live in proximity to one another but which made a point of networking, as we would say today. May I add this from the Tudor Place page, that Anne Vaux, Elizabeth's sister was a formidable woman. Notes: a dedicated recusant, Anne used the alias “Mrs. Perkins” to hire houses for use as meeting places for missionary priests. She also occasionally impersonated her sister Eleanor Brooksby, to confront the authorities. 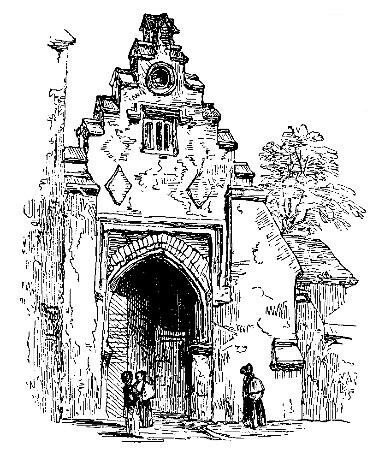 Anne was arrested when the Gunpowder Plot was uncovered but released soon after. At one point it was thought that she was the one who sent a letter to Lord Monteagle, warning him of the plot, but this is unlikely. She was arrested again the following March and this time confined in the Tower of London. She was released in Aug 1606. She and her sister, Eleanor lived quietly at Shoby, Leicestershire for some years but were arrested for recusancy in 1625. 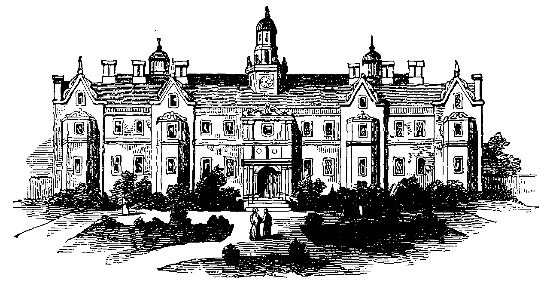 After her sister’s death, Anne moved to Stanley Grange, Derbyshire, which became a center of Jesuit activities in England and the site of a school for the sons of the Catholic gentry. Never married. Personally, I think that few modern Catholics would be willing to sacrifice kith and kin for the Catholic cause these days. And, that is why the Church is weak. Too many people either put nationalism or family before being a Catholic. Imagine, Anne working as she did and not seeing her sister Elizabeth ever again. Are we willing to make these types of sacrifices for the cause of Catholicism? There are several factors which weakened the resolve of Catholics. One are mixed marriages, which use to be spoken of from the pulpit as dangerous. The non-Catholic partner most likely nowadays does not help with the Catholic domestic church, and in England, causes a couple to contracept. This compromising forms a great weakening of Catholicism in a family. A second reason could be the lack of real conviction that the domestic church must be a priority. In other words, too many Catholics rely on their priests and parishes instead of creating an independent, home-based Catholic center. If you are not facing these problems, many souls will be lost in the times to come. Some of the recusant family names are known to us, as seen in the list in the last posting. How many names have been lost because of the families who gave in to the prevailing society and "conformed" to Anglicanism? That they lost their souls is most likely as the fact that we no longer know their names. Fathers and mothers do not do enough to insure that their children marry Catholics. They also do not look towards a future without the established Church. It has happened before and it will all happen again. 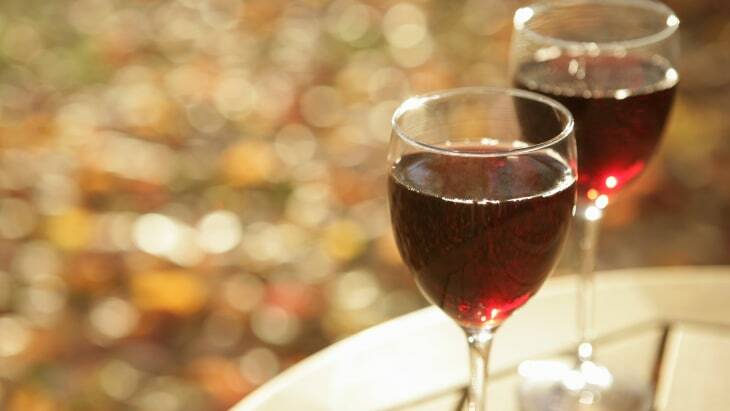 and here is an old blog post just to bring the points home yet again. of Church-bashing which will not go away. be his or her own pope. and our anti-contraception, anti-abortion positions. members of Parliament shone out like words of old transcripts in a history of Recusant trials. clarity of teaching that Catholicism and Nazism clashed. Catholicism will always clash with falsehood. Any big donors interested in helping the liberal arts college in Ireland, here is one property they are interested in buying. Any Readers With Extra Cash? This is a rare book I would like to read. Does anyone have access to a copy of the volumes? Are you still asleep, Catholics? Why are the clergy silent on these issues? The first of two of the reasons why I am posting this series on recusant nuns rest in my conviction that unless there are relationships among Catholics, some type of Catholic community, the Faith will die in many areas. The second reason is that nuns and priests carry on the Faith by service and prayer. Will this happen when the vocations dwindle daily? Some of the families of these nuns knew each other. For example, the Throckmortons knew the Garnets, of course, as Father Henry Garnet was at Coughton Hall for the planning of the Gunpowder Plot, as the confessor of the Throckmortons. Father Garnet was killed for holding the seal of Confession. That two of his neices became nuns would not be an accident. I have found the name of one, I think, Mary, and I am trying to trace the history of these women. Of course, these women had to leave England in order to pursue their vocations. I shall add more to their stories later on this blog. The Throckmortons knew the Garnets, who also knew the Vauxs and so on. Such families were in each other's houses, although separated by hundreds of miles. Are we too lazy to network in person, to "pod", as I call it? Think about this.....do Catholics think they can remain holy on their own? Recusant families supported each other in life and in death. The importance of networking cannot be over-emphasized and why priests do not talk about this from the pulpit astounds me. Therefore, the laity must take the lead in networking. Otherwise, Christ's query as to whether there will be any Faith on earth when He comes again will be answered in the negative. Do not think that the Catholic parishes and churches one sees today will last another twenty years. Father Garnet suffered a terrible death. But, the legacy of Catholcism continued. in his family. The Garnet Family produced the great Jesuit and a good short biography of him may be found here. A partial list of the recusant families in England is found here, including the name of the family of Fr. Henry Garnet and the two nuns, Garnet/Garnett, Gascoigne of Parlington, Aberford, Yorkshire. Men and women risked their lives for even owning medals or Agnus Deis, such as this one found in Lyford Grange which was hidden for 400 years. To be continued...next, the Vaux nuns, another family connected to the Garnets. This is not an accident. I know of two holy families in Illinois which have had saints in their ancestry and that holiness has been passed down even to this generation. Remember, that St. Margaret Clitherow's children were taken away from her and put into a Protestant family. And, yet, grace overcame tyranny. Also, remember, that St. Margaret was pregnant when she died, and her baby in the womb died with her. She was killed on Good Friday, March 25th, 1586. That these children went on to carry on the faith to the next generation is one reason why I am concentrating on this little series. When Christ returns, (not in my lifetime), will He find any faith on the earth? Parents, it is your duty to pass the Faith on to your children. St. Margaret's husband was not a Catholic and he did not take part in her Catholic life of having secret Masses and hiding priests. But, God blessed Margaret's family because of her faith and her death. I have been researching the number of women who left England in order to become nuns on the continent, owing to the persecution of the Catholic Church in Great Britain. Between 1600 and 1800, at least 4,000 women left England to be nuns in France and Belgium and Flanders, mostly. What was England's loss was France's gain. I am trying to trace some of these nuns. As seen in another post, the More Family produced several nuns. Two other women from a famous family also became nuns on the continent. Here is a short article from the blog Idle Speculations. The Throckmortons and Coughton Court have since the Reformation been notable in their deep and continuous adherence to the Catholic faith, in spite of the costs. 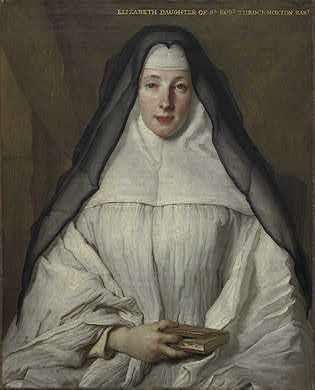 The above two paintings were part of a group of three portraits of English Augustinian nuns from the Paris convent painted by de Largillière which once hung together at Coughton Court. Elizabeth Throckmorton was the daughter of Sir Robert Throckmorton of Coughton Court. She joined the convent where her Aunt was a member as a schoolgirl aged 14. In 1714 she took her vows with her sister Mary. Although not always in good health, Elizabeth Throckmorton was twice elected Abbess and her death was recorded as a great loss to the community. Her interest in reading and study is emphasised by the book in her hand. She died in 1760. 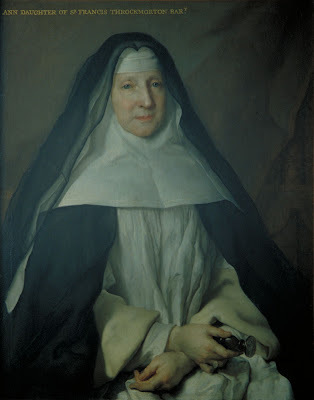 Anne Throckmorton (1664 - 1734) was Abbess of the Augustinian Convents of 'Filles Anglaises' in Paris from 1720 to 1728. She was the daughter of Sir Francis Throckmorton, 2nd Baron and sister of the 3rd Baronet. Will there be any place for nuns to go in the upcoming persecution? This is the first in a mini-series of Nuns in Persecution. I shall do a little series on the recusant nuns. Many daughters and nieces of saints, including the daughter of St. Margaret Clitherow and women from the Garnet family went to France and became nuns. So, too, did descendants of St. Thomas More and women of the Throckmorton family, the Catholic side. Here is the first of a smattering of fascinating information from times of persecution. Thomas More's adopted daughter, Margaret Clement, became a nun. I have written on the More women who became nuns. Helen More, daughter of Cresacre More, one of Thomas More's sons, became a Benedictine nun in France. Her journey through the spiritual life provides us with one of the more interesting tales of a person struggling with the life of perfection. Sadly, all my notes on her are in a suitcase in Guildford, in an attic somewhere, so I cannot make detailed comments. Here is a snippet from the Catholic Encyclopedia on Sr. Gertrude. Benedictine nun of the English Congregation; b. at Low Leyton, Essex, England, 25 March, 1606; d. atCambrai, France, 17 August, 1633. Her father, Cresacre More, was great-grandson of Blessed Thomas More; her mother, Elizabeth Gage, was sister of Sir John Gage, Baronet, of Firle, Sussex, lord chamberlain to Queen Mary. Her mother dying at an early age, Helen's care and education now devolved upon her father. By persuasion of Dom Benet Jones, O.S.B., she joined his projected foundation at Cambrai, and was first among nine postulants admitted to the order, 31 Dec., 1623, but vacillation of mind so disquieted her novitiate, that only with the greatest hesitation she pronounced her vows on 1 January, 1625; nor was she even then quite free from scruples and temptations, until she had availed herself of Dom Augustine Baker's prudent guidance. A year or two later, having now become Dame Gertrude, learning from him the use of affective prayer, a complete change was wrought in her; rapidly advancing in the interior life, she became a source of edification to the infant community, and, in 1629, when a choice of abbess must be made, her name, conjointly with that of Catharine Gascoigne, was sent to Rome for a dispensation on point of age. Catharine was eventually chosen, but Gertrude was always honoured as chief foundress. Supporting her abbess by lifelong devotion, promoting peace and good observance, she was universally beloved. None suffered more nor with edifying fortitude than Dame Gertrude, under a heavy trial to which the community was subjected through interference of the vicar, Dom F. Hull, with Father Baker's teachings. Later, doubts arising as to her mode of prayer, formal inquiry was made, resulting in approval at the General Chapter in 1633, during the sessions of which, however, Gertrude was attacked by small-pox and died a peaceful death.Some papers found after her death and arranged by Father Baker, were afterwards published in two separate works: one entitled "The Holy Practices of a Divine Lover, or the Sainctly Ideot's Devotions" (Paris, 1657); the other, "Confessiones Amantis", or "Spirtual Exercises", or "Ideot's Devotions", to which was prefixed her "Apology", for herself and for her spiritual guide (Paris, 1658), both recently republished. I have already written about St. Thomas More's granddaughter and great granddaughter on this blog. See links. I have read the biography of one, which is no longer in print, Dame Gertrude More by Dame Frideswide Sandeman. Sister Gertrude was influenced by the spiritual writings and guidance of Father Baker. Also, I have seen some of the books mentioned in the article above. See also: http://en.wikipedia.org/wiki/Stanbrook_Abbey She is the chief foundress of Stanbrook Abbey. Two other "Mores" were abbesses in that monastery. One may also see this site for the entire list of St. Thomas More's descendants. Cresacre had two daughters who became nuns. 3. Bridget: Born 1609. Became a Benedictine Nun at the Monastery of Our Lady of Consolation, Cambrai. Known in religion as Dame Bridget More. Elected Prioress at the new foundation of the Order at Paris – Monastery of Our Lady of Good Hope. Died there on 12th October 1692. Another nun who was a descendant of St. Thomas More died as the result of imprisonment. She was the daughter of Thomas More V.
5. Mary: Born 1638. Became a Nun in the Institute of the Blessed Virgin Mary. Committed to York Prison in 1678 for refusing to take the Oath of Allegiance and Supremacy. Released in 1685. Died at one of the Institute‟s houses in Bavaria. Date not known. More nuns in the More Family follow. This one was the daughter of Basil More. Became a Nun with the Canonesses Regular of the Lateran, at St. Monica‟s, Louvain. Took the name Sister Theodora. Died on 6th June 1699. Yet another is the daughter of Thomas More VIII. After the death of his last child, the line of St. Thomas More ended in the early 19th century. 4. Mary: Born at York on 1st April 1732. Known in the family as "Mally‟. Joined the Augustinian Canonesses Regular of the Lateran at Bruges, becoming „Dame Mary Augustina.‟ Elected Prioress. The community fled to England (to Hengrave Hall, Suffolk) in 1794 when they were expelled from France at the beginning of the French Revolution. The Nuns returned to Bruges in 1802. Dame Mary died there on 23 March 1807, and was buried in the Convent Chapel. Information on Stanbrook Abbey today may be found here. One, first eye operation coming up next week, so please pray. Second, after the second one towards the end of the month, (and pray for that one as well), pray I can get to Europe. Pro-Russian gunmen in control still of two airports.